Both January & July cycle of admissions Rs. Rs. 37,000/- for full programme to be paid semester wise @Rs. 6,200/- per semester. Eligibility: 10+2 or its equivalent. If a student fails to successfully complete all the requirement of courses in three years s/he may be permitted to stretch it over a period of maximum another 3 years. In case a student is unable to successfully complete all the courses of the BCA Programme in 6 years, s/he may have to take re-admission to the courses, which s/he has not successfully completed. 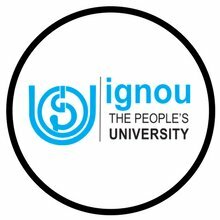 In such cases, the student has to seek readmission as per the “Re-admission” rules of the IGNOU, and pay the requisite fee.